Do you need to ship your car or other vehicle across the country? If so, you’re in the right place. In a just a few seconds, you can complete our shipping quote form and find the best auto transport rates available. 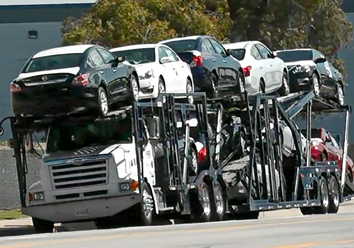 We’ve create a competitive bidding environment with many different car-shipping companies. Our shippers know they have to give you their best rate or you’ll simply go somewhere else. Many other car shippers are proprietary, meaning you only get their quote and then you have to spend hours gathering quotes and comparing them. We eliminate that hassle. You’ll get multiple quotes and just have to fill out one, easy-to-complete form. Plus, there is no obligation. If you don’t like the quotes you get, you can move on to another shipping site. Shipping quotes for Trucks, SUVs, RVs, Motorcycles or ATVs. What is Car Shipping and How Does It Work? 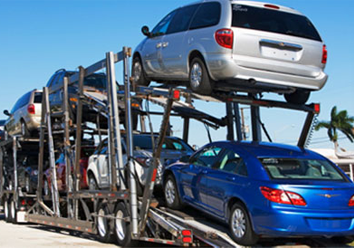 Car shipping, also known as auto transport, is the process of moving your car or other vehicle from one location to another. There are two ways to go about it. You can use a carrier or a broker (who has access to many carriers). Carriers actually carry the vehicle from one location to the next. Brokers act as middleman between you and the carrier and they usually have access to better rates than you can get on your own. In addition to setting you up with a carrier, a broker may also handle many details of shipping, including organizing the car shipping process, paperwork and financial transfers. Carriers set their prices, but brokers can go to many different carriers to find the best prices. They can also work out volume discounts. This means you usually get a better deal. Our system adds another level of competition because we also create competition between brokers, offering you an even better rate. The process starts when you fill out our fast and easy online form above. You submit the information and we match and sent it to variety of brokers and carriers. You receive quotes from multiple shippers can choose the best rate. Every shipping company we work with is licensed and bonded. They also carry federally required insurance for at least $750,000. So you’re covered if your vehicle is damaged or any other problems occur. We can provide auto-shipping quotes from your location (US) to any other location (US). Some shippers may transport only cars, trucks and SUVs, but many will also ship other vehicles, including motorcycles, RVs, Vans and Box Trucks. If you need a specialty vehicle other than a car, truck or SUV shipped, it’s a good idea to figure out the length, height, width and weight of the vehicle to get an accurate quote. Complete our online form now. Need more information on car shipping, read through our Car Shipping Guide. How Can I Make Sure My Car Arrives on Time? How Can I Find Express Shippers When My Car Has to Get Somewhere Fast? 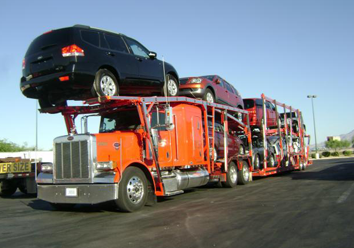 How Can I Find Auto Transporters for Over-Sized our Specialty Vehicles? How Can I Insure My Car Is Not Damaged and What Can I do if it Gets Damaged? How Much Is Too Much to Pay to Ship My Vehicle? How Can I Avoid Car Shipping Scams? Why Is Shipping My Car Less Expensive Than Driving it Across the Country? Why Do People Ship Their Cars Instead of Transporting the Cars Themselves? We’ll also cover other specialized topics like “How You Can Save Money by Finding a Great Deal on a Car in Another Location and Having It Shipped to You.” Plus, you can read and print easy-to-use checklists, including our popular — “The Ultimate Checklist for Preparing for a Move.” You can print it, then check off each step to make sure everything is covered and your move goes smoothly. Before you go, take a few minutes to fill out our quick and easy car shipping rate quote form. You’ve got nothing to lose. There’s no obligation even if you get a quote. If nothing else, you can use our quotes to compare to the quotes you get from other brokers or carriers. We’ll find you an auto shipping service to transport your car — on time, in perfect condition, at a great price.